Quilting is a passion for me, and it is a passion I enjoy sharing with others. I love that people ask me to help them create something that will be cherished and enjoyed by their families. 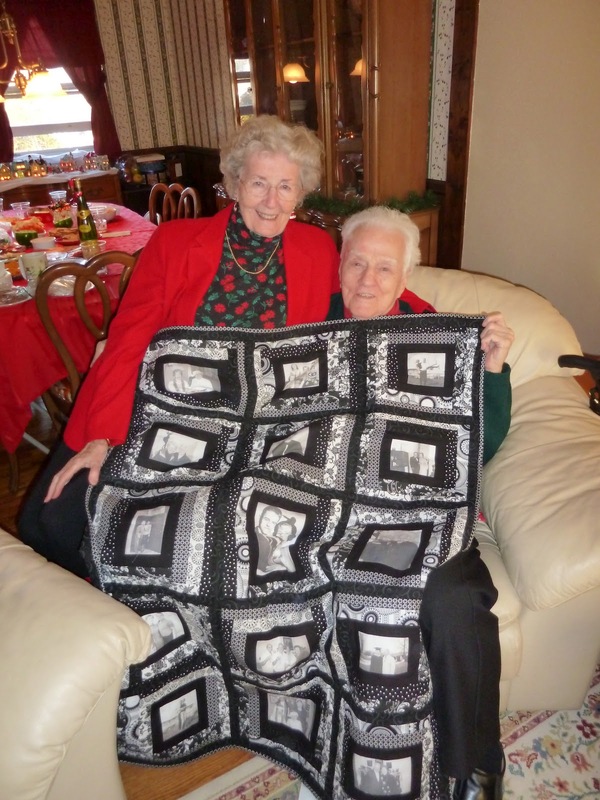 Handmade quilts are a great way to commemorate anniversaries, celebrate achievements, new beginnings, graduations, marriages, new houses and many other events. Please contact me at knot.threads@gmail.com for more information regarding commission projects. Some of my previous quilts..
T-shirt quilts - These quilts are made using your personal t-shirts, they are reinforced and sewn together randomly or in a sequence of your choosing. Both fronts and backs of shirts can be used. These quilts are super soft and perfect for snuggling. 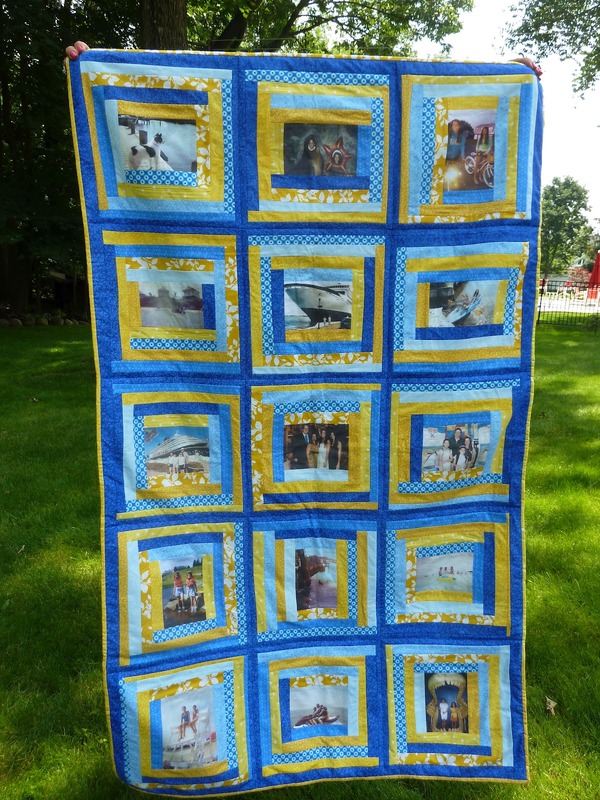 Memory quilts- These quilts are made using your personal photographs. They can be in either color or black and white. Each block is centered around a picture or collage of pictures. 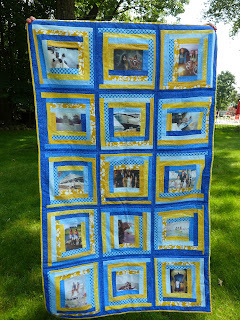 The quilts can range in size depending on the amount of pictures you would like to use. Each picture is printed on cotton fabric and treated so that they will withstand time and washing. 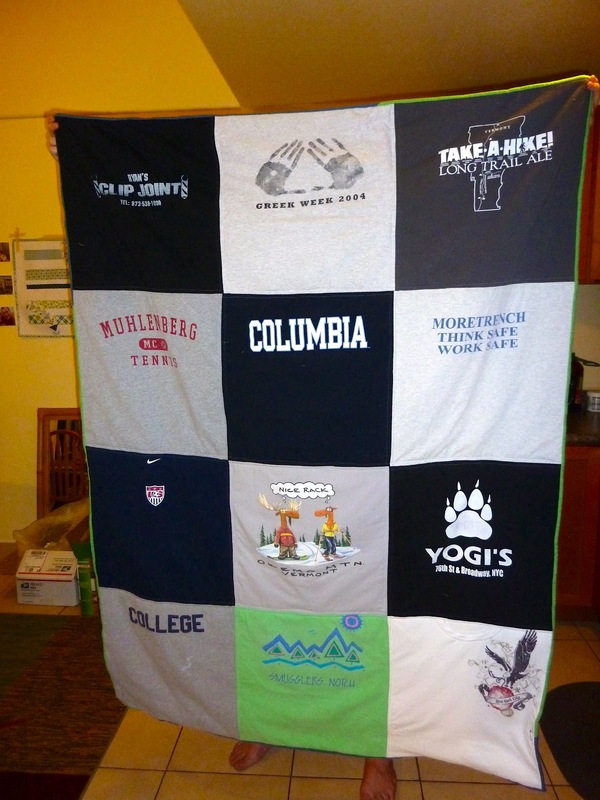 All quilts are made using 100% cotton fabric and batting. Please contact me for more information.